Someone recently asked me what our family Christmas traditions were and I was like Uhhh??? I really had no idea. Did we even have traditions? I quickly said make cookies, but left there really wondering what we did that my girls would grow up considering traditions. I quickly came up with a list of ten things that we’ve been doing since Skibbles was little and some things that we are adding this year now that we have two girls. 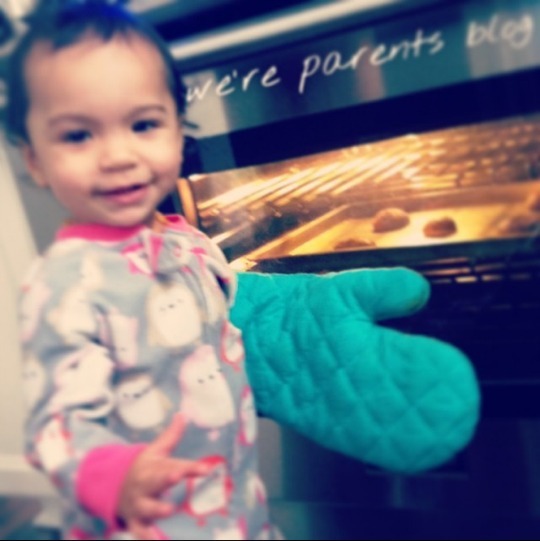 -Baking Cookies While Listening to Christmas Songs – This is probably my favorite thing to do. We started Mini Chef Mondays so that we can show the versatility of things that kids can do in the kitchen and Skibbles has been helping us since she was just over a year old making them. Adding the Christmas tunes put you in the Christmas spirit no matter what (including it being 70 degrees this year in December in New Jersey…what!?). We also do a Christmas cookie swap with the cookies we bake with our friends! 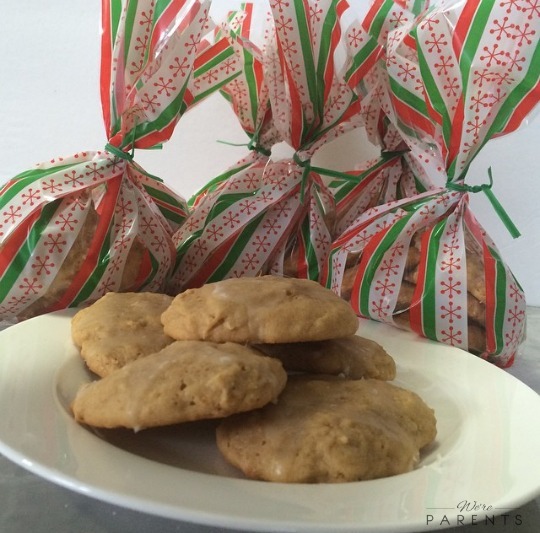 Our favorite cookies to make is our Pineapple Orange Glazed Cookies and Snickerdoodles! 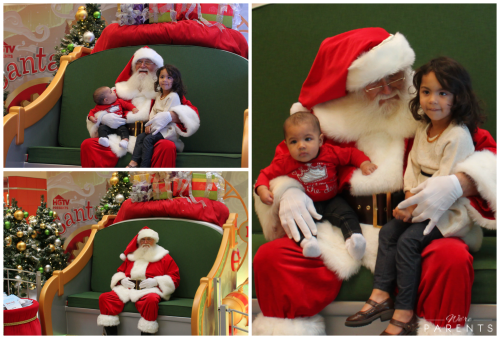 Go see Santa – We admitted before that we weren’t even sure that we were going to “do Santa”, but we’re super happy that we are now. We absolutely loved this year and both girls did too. We’ve seen Santa at the mall, at the aquarium, and on a firetruck and watching Skibbles eyes light up each time is so magical. 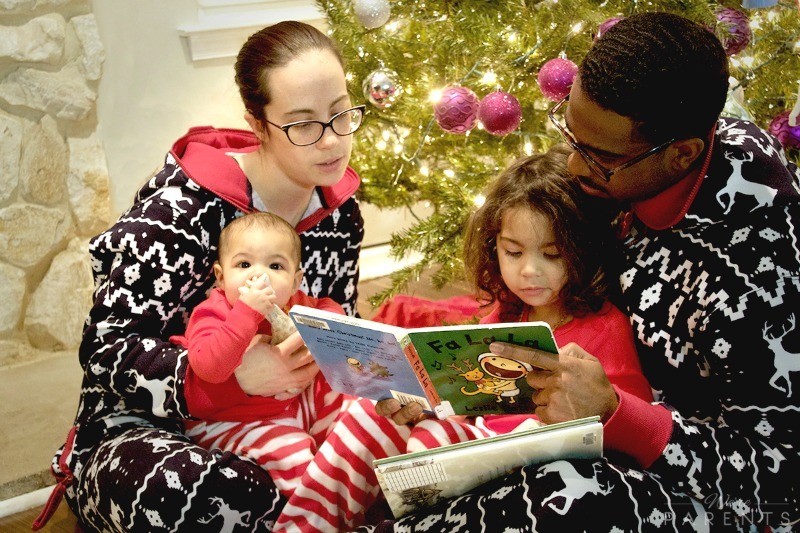 Read the Night Before Christmas – Last year, we read The Night Before Christmas and it was just one of those special moments that is so special. We’ll do this every year from now here on out. – Go pick out a tree and decorate it- Confession. We didn’t go pick a tree out this year ((::Sad face::)). We were supposed to travel and I decided that we should just put up a fake tree instead and then I cancelled our traveling plans and regret it either way. 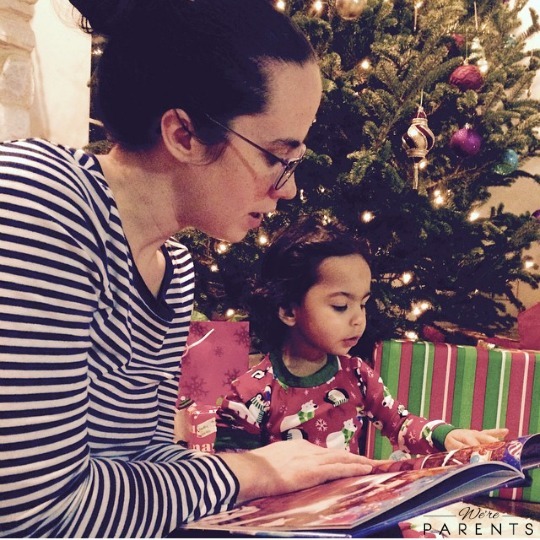 Watching a movie the night before– After reading our book, we love watching a Christmas movie on Christmas Eve. This year Skibbles has been really loving Shrek and I found Shrek The Halls at a consignment sale for cheap! I think it’s going to be a fantastic one to watch with them this year. Make homemade gifts – I love doing this! We’ve been doing them together, but I can’t wait to actually let them do things completely on their own. There’s something magical about getting a gift from a child. 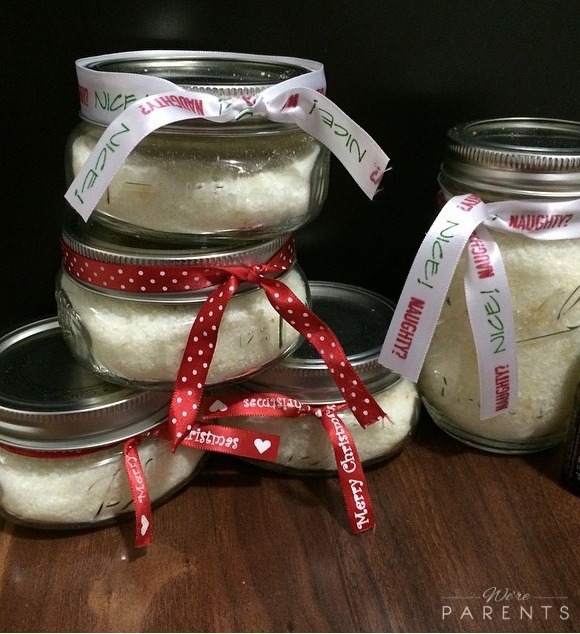 These DIY Bath Salts are super easy to make with kids and a great hostess gift! 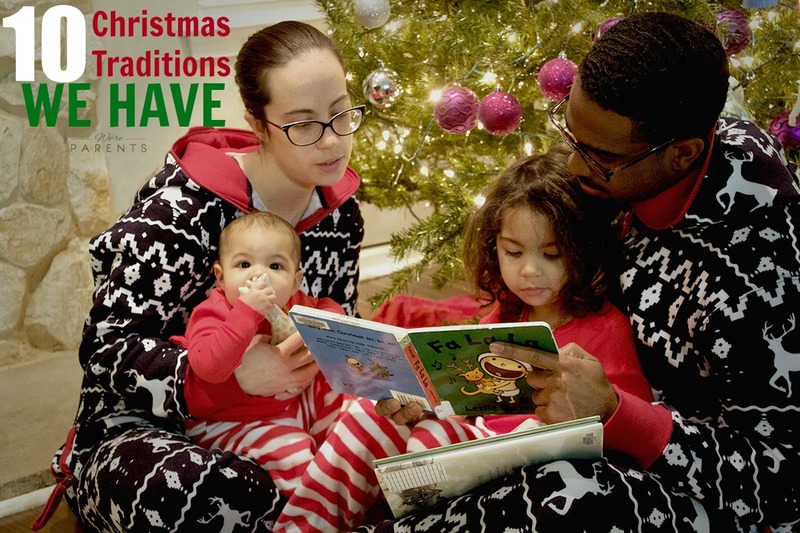 – Matching PJs We’ve been getting Skibbles Christmas PJs, but we’ve never done it as a family. I had already gotten the girls matching PJs when Tipsy Elves reached out and offered to send Andrew and I matching PJs. We are absolutely in love with the softness of them and while Andrew thinks it’s hilarious and a bit weird to wear a jumpsuit, truth be told, he’s wore them every night since we received them. I’m praying that they start making baby and toddler sizes before next year so that we can all four wear the same ones because they are so amazingly comfy. ((The girls PJs are from Target and Andrew and I are both wearing the Blue Reindeer Jumpsuits from Tipsy Elves)). -Go see the lights– We’re adding this to our Christmas Eve line up. After dinner, we’re going to drive around and see the lights, then come home read our book and watch our movie. We’ve seen some great lists of local lights and we’re going to go check out some of the places. -Making a DIY Advent Calendar – This was one of my favorite things to do this year, but I know as Baby gets bigger that we will enjoy making them together even more. 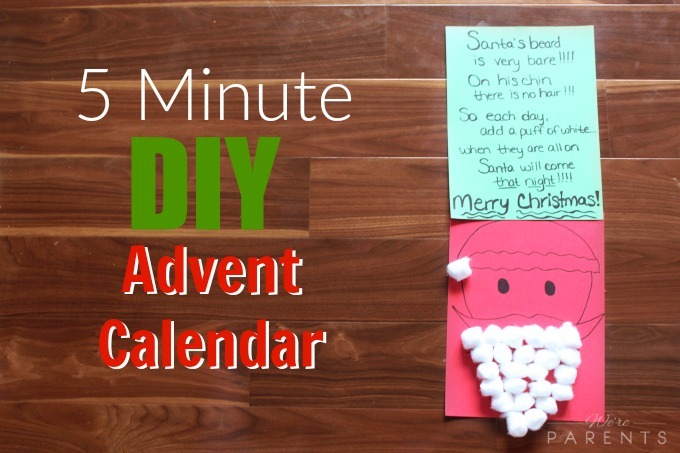 Who can resist a 5 minute DIY Advent Calendar!? -Volunteer – I love giving back and want to instill those values in our girls. Skibbles is a bit too young this year, but we plan to volunteer at a local soup kitchen and I’m also going to find a local senior center that we can visit next year since the baby will be a bit older. I’m dying to hear your traditions too so I can add more to our future list!